What Is the Capital of North Dakota? The capital city of North Dakota is Bismarck. The state flag of North Dakota. Bismarck is North Dakota's state capital. Bismarck ranks second among North Dakota's cities behind Fargo in terms of population. The 2016 population was approximately 72,417 with a metropolitan population of 131,635. When Did Bismarck Become the Capital? Bismarck was originally occupied by the Mandan Native American community, who spoke the Hidatsa language. European Americans established a settlement in what was then the Missouri Crossing in 1872, which was later called Edwinton, in honor of Edwin Ferry Johnson, the engineer-in-chief contracted by the Northern Pacific Railway. The company's railroad developments attracted settlers and workers, and the company named the growing city Bismarck in 1872, after Otto von Bismarck, the chancellor of Germany. The name was intended to attract German investment and settlers. Gold deposits in the Black Hills of South Dakota triggered the immigration of thousands of miners to the city. Bismarck was recognized as the capital of Dakota Territory in 1883, and in 1889 it became the capital of the newly incorporated state of North Dakota. The 2010 census reported 61,272 people in the city of Bismarck, which included 27,263 households, and a total of 15,624 families. The population density was 1,986.1 people per square mile. 92.4% of Bismarck's population was Caucasian, 0.7% was African-American, and Native Americans and Asians made up 0.6% and 0.3% of the population, respectively. 1.3% of the residents identified as either Latino or Hispanic of no particular race. Bismarck's median age was 38 years, while the gender makeup was 51.4% female and 48.6 male. The city's average family size was reported to be 2.82, and the average household size was 2.18. The health sector is a major employer in the capital city of Bismarck. Sanford Health has 25,000 employees in the company, while St. Alexius Medical Center employs 2,264 individuals. 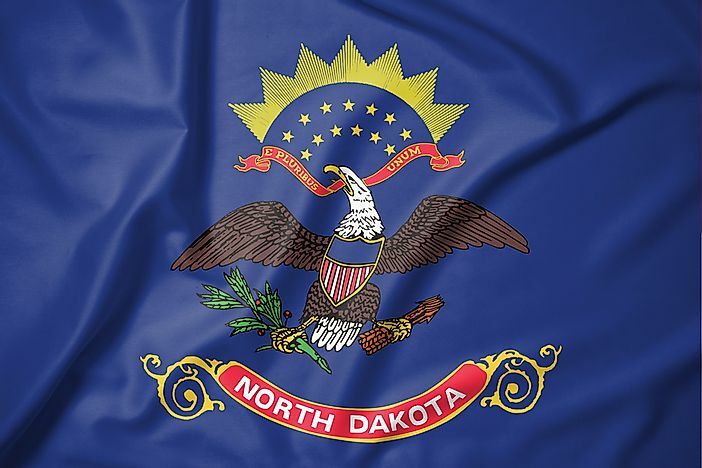 The state of North Dakota employs about 4,400 workers, and 1,200 individuals work for the federal government. Other top employers are the public schools, Wal-Mart, the City of Bismarck, Coventry Health Care, MDU Resources, and Aetna. Bismarck is governed by the city commission type of municipal government. Citizens choose five at-large city commissioners who must receive the majority of electorate votes. This scenario makes it difficult for minorities and other interest groups to propel the candidates they prefer to victory. The city's mayoral position is occupied by the city commission's president. The city commission convenes on the second and fourth Tuesday of every month. Bismarck is home to North Dakota's state capitol building, which houses the legislative and judicial divisions of the state, in addition to multiple government agencies. Bismarck has a public bus system which commenced operations in May 2004. The system maintains eleven routes across Bismarck and Mandan. The Bismarck Municipal Airport lies south of the city, and is served by airlines such as Delta Air Lines, Frontier Airlines, and United Express. The airport handles the second highest passenger volume in North Dakota and the highest in western North Dakota. The city is further served by the BNSF Railway and two federal highways. Why Is There a North and South Dakota?